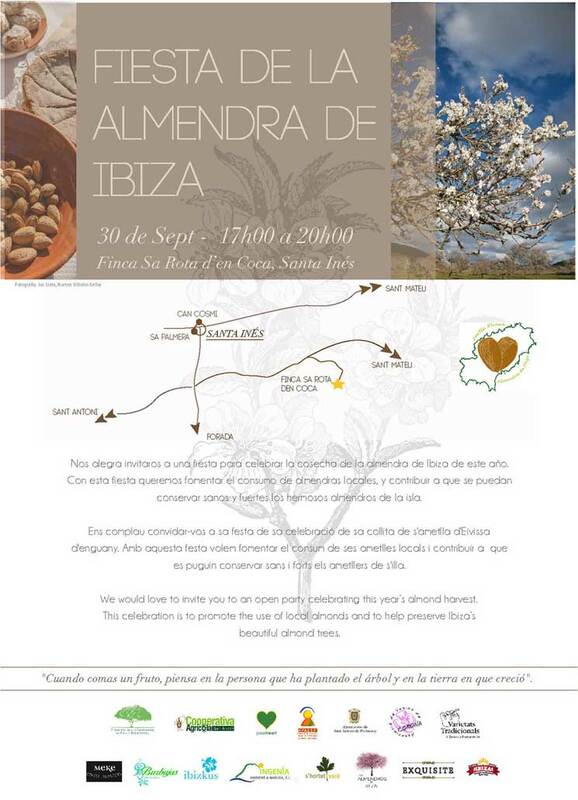 The sa Rota d’en Coca finca, in Santa Agnès (see map below), will host the second edition of the Almond Festival on Saturday 30th September. Environmental, agricultural and food entities and companies have combined forces for this year’s event. 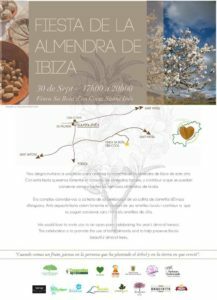 The initiative aims to encourage the consumption of local Ibiza almonds, to contribute to the conservation of the beautiful almond trees and pay homage to those who care for them. 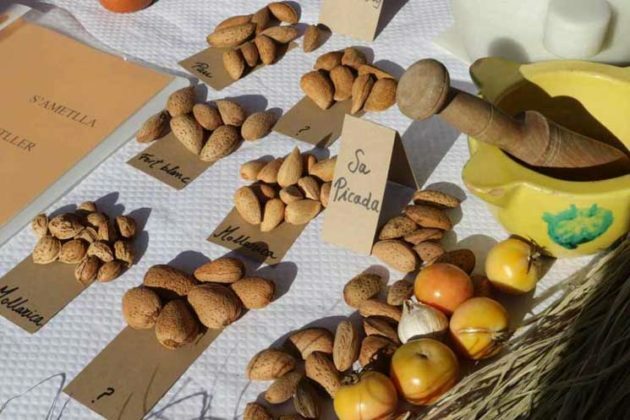 During the fiesta, which will be held from 5pm to 8pm, there will be tasting of almonds and other products made from them such as butter, milk and cheese, as well as drinks, music and the traditional Ibicenco dancing ‘ Ball Pagés’ from sa Colla de Buscastell. Those interested can also participate in workshops to learn how to make almond milk, almond cheese, oil and almond butter. 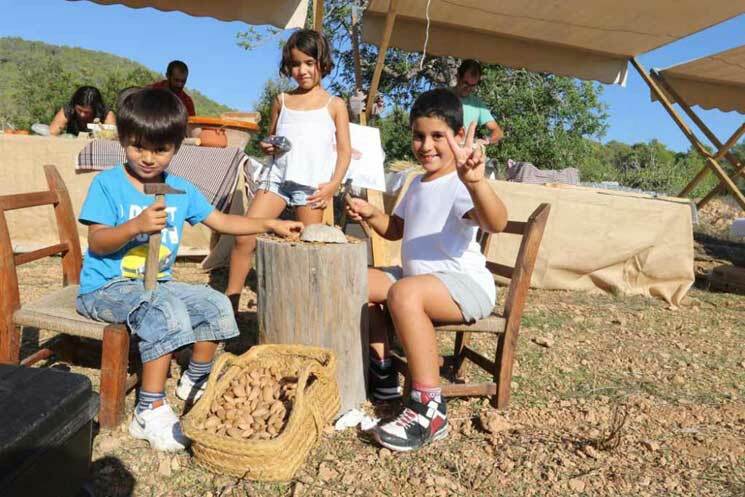 A workshop will also be organised to learn how to cure olives with almond husk ash. A few of those present at the event are APAEEF, Asociación de Vecinos de Corona, Ayuntamiento de San Antonio, Burbujas, Casita Verde, Cooperativa Agrícola de San Antonio, Fundación para la Conservación de Ibiza y Formentera (IPF), Ibizkus, Los Almendros de Ibiza, Meke y S’Hortet Verd. Click to enlarge the flyer and map below. 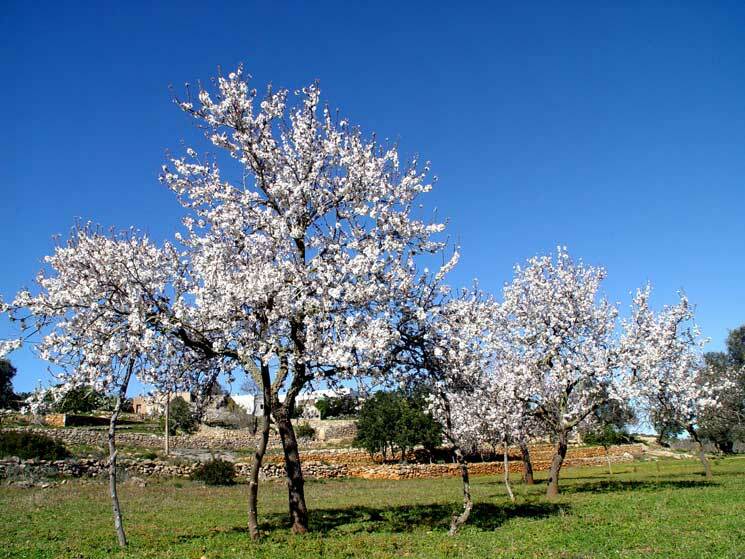 “Ibiza’s Almond Trees in blossom are a glorious sight to behold. 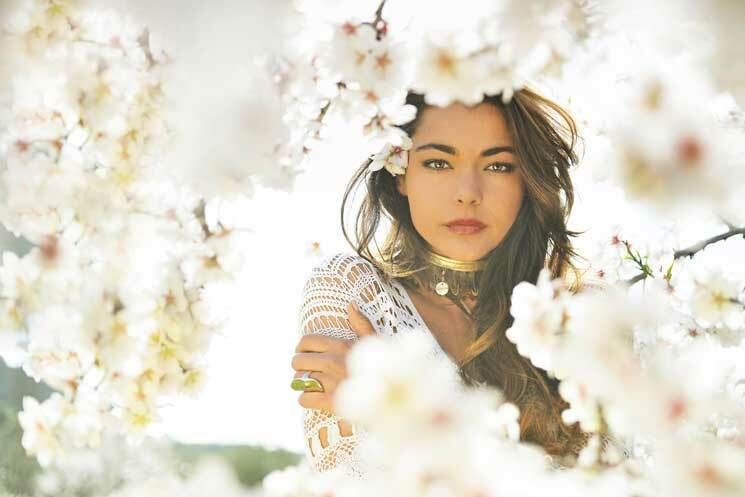 However, despite their annual eye-candied beauty, all is not as straightforwardly successful as their seemingly prolific spread may suggest”. The humble almond, in Spanish almendra and in Catalan ametlla, may have been a little too humble for its own good over recent years. Though it seems to grow everywhere on the island, the reality is that the amount of Ibiza almond production has been in sharp decline for some time. According to the Encyclopaedia Pitiusa, Ibiza’s almonds have dropped in both production and the land area on which they are grown—which fell from 8,000 hectares to a little over 5,200 between 1960 and 1986—a 30% drop in under 30 years. Speaking in 2016, manager of the Agricultural Cooperative of Sant Antoni, Joan Antoni Prats, said that until very recently the low price of almonds combined with the difficulty of harvest had resulted in many farmers simply letting the crop rot on the ground. Things have picked up more recently with a higher price being paid – at the time of his comment, it stood at 1.60€ per kilo in shell and 8€ shelled—but though the shelled price sounds high, the almond harvest gives a yield of just 22%, the rest being the waste woody shell. It is not just price alone which has given an upturn in the nut’s fortunes. Sant Antoni’s Cooperative have invested in a harvesting machine that is capable of processing 800 kilos of almonds per hour. This is a huge improvement on the previous labour intensive approach which had remained unchanged for centuries, whereby a sheet was laid under the tree, which was then vigorously shaken to obtain its crop. 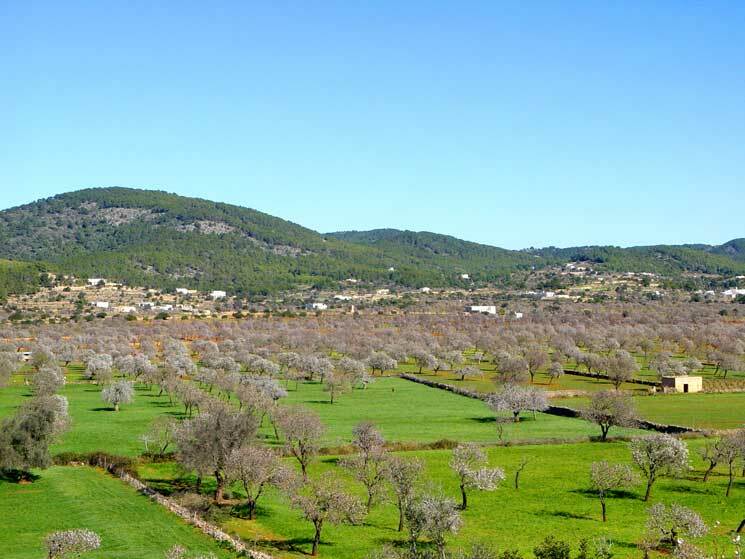 The Cooperative is looking to further maximise the profitability and thereby the viability of the Ibiza almond crop by marketing it directly to local customers. 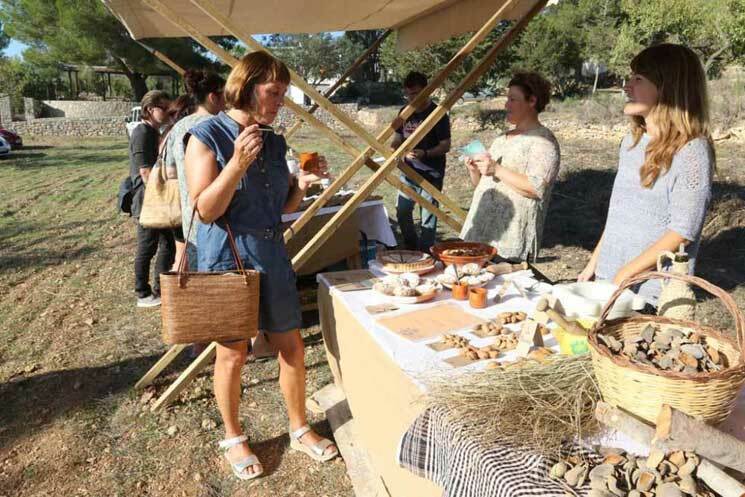 Joan Antonio said that previously the entire harvest would be exported at a very low price, but with increased interest in locally sourced products and the value of Ibiza branding it is hoped they can sell the vast majority to customers on the island. by Xescu Prats The almond blossom at Pla sa Corona in all its glory. The initiative to return the Almond to being an attractive proposition for farmers has been helped with donations from the Ibiza preservation fund, Fogaiba and various other bodies. Almonds have long storage life due to being rich in Vitamin E, & can be refrigerated for up to 2 years. Almonds are considered to be among the best natural cholesterol regulators. 90 percent of fat in almonds is unsaturated. Almond flour is gluten free and is healthy and delicious for baking purposes. In India almonds are considered as ‘Brain food’ for children. Almonds contain the flavonoid activity that is same as broccoli and green tea. So, among other benefits, it is often claimed that they are extremely nourishing for your skin. Chocolate manufacturers use around 40 percent of world’s total almond supply. 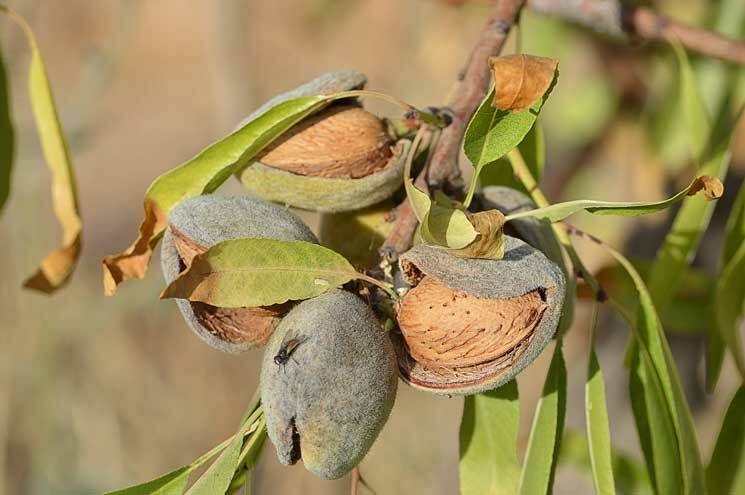 The almond is not actually a nut, but is the seed of a fruit in the same family as the peach. Almonds are a rich source of calcium, magnesium, vitamin E, dietary fibres, & Vitamin B. The outer hulls of Almonds are used as a cattle feed. There are around 30 varieties of almonds, but only 10 are grown for consumption. Almonds are claimed to be among the biggest natural barriers against cardiovascular diseases and diabetes. Almonds are 100% reliant on wild bees and honey bees for crop pollination — No bees, no almonds. The immature green almond can be preserved and pickled — some consider it a delicacy.